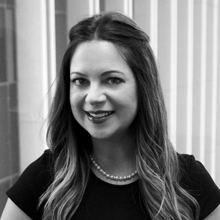 Rebecca Labat is a partner with Capstone Law. She supervises the pre-litigation phase for all of the firm’s cases, including investigation, analysis, and client consultation. She also manages the firm’s co-counsel relationships and assists the firm’s other partners and senior counsel with case management and litigation strategy. Her career accomplishments representing consumers and employees in class actions include the certification of a class of approximately 3,200 current and former automobile technicians and shop employees for the miscalculation of the regular rate for purposes of paying premiums for missed meal and rest breaks. Before her work representing plaintiffs in class and representative actions, Rebecca was an attorney with Wilson Elser and represented life, health, and disability insurers in litigation throughout California in both state and federal courts. She graduated from the University of California, Hastings College of the Law in 2002, where she was a member of the Hastings Civil Justice Clinic, served as a mediator in Small Claims Court for the City and County of San Francisco, and received the CALI Award for Excellence in Alternative Dispute Resolution. She received her undergraduate degree from the University of California, Los Angeles. Rebecca is admitted to practice in California and before the United States District Court for the Northern, Eastern, Central, and Southern Districts of California. She is a member of the National Employment Lawyers Association (NELA), the Consumer Attorneys Association of Los Angeles (CAALA), and the Beverly Hills Bar Association.